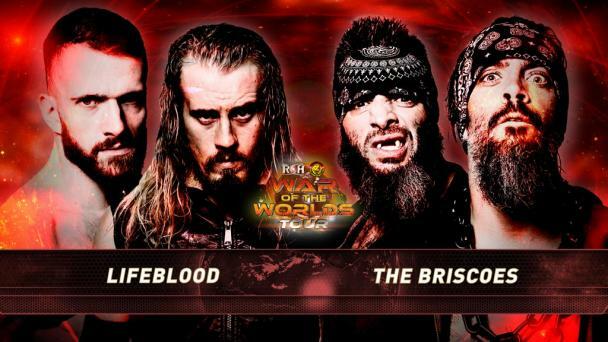 The Ring of Honor World Six-Man Championships have been the most hotly-contested championships since their inception at Final Battle 2016! 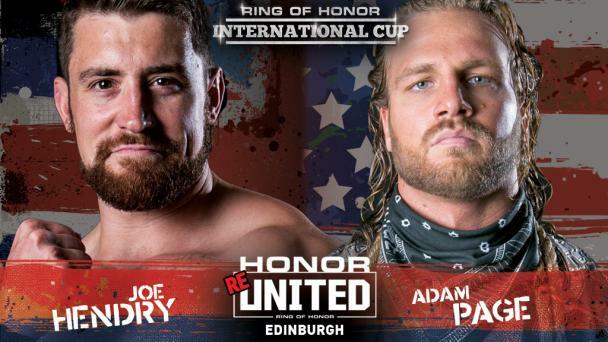 The longest-reigning champions in ROH history, Bullet Club’s Adam Page and The Young Bucks, captured the championships in Edinburgh, Scotland during the War of the Worlds Tour in August and have defeated the top trios in wrestling since! In Las Vegas, they face a trio who is seemingly on borrowed time. 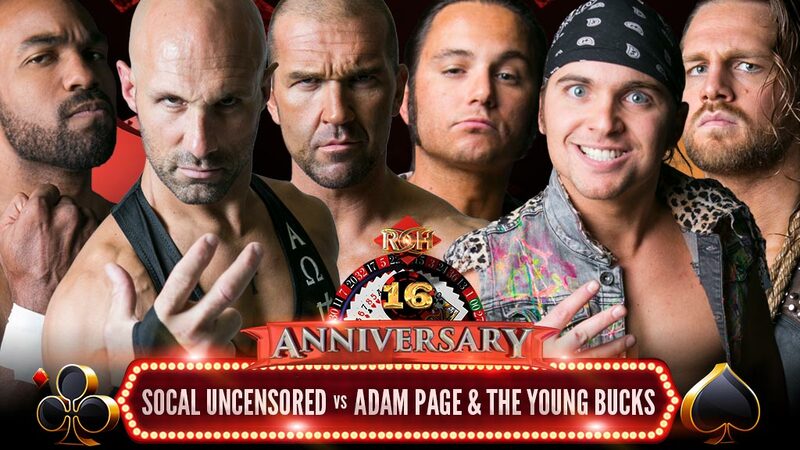 “Almighty” Christopher Daniels, “The Heavy Metal Rebel” Frankie Kazarian, and Scorpio Sky, known as SoCal Uncensored, called their shot, threatening to “reveal where the bodies are buried”, including revealing ROH expansion plans to friends named Allen from Georgia and Don from Canada. But, COO Joe Koff, after consulting legal counsel, advised the trio that non-compete clauses hold up better if contracts run out than if they were to be fired, so Daniels and Kaz were informed their contracts would not be renewed following Final Battle to protect industry secrets! 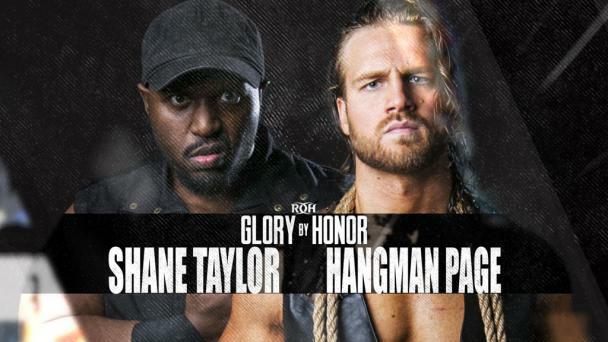 The trio needs any piece of leverage they can get and know they can continue to call the shots, perhaps even extend their time in ROH as the calendar turns by winning championship gold. 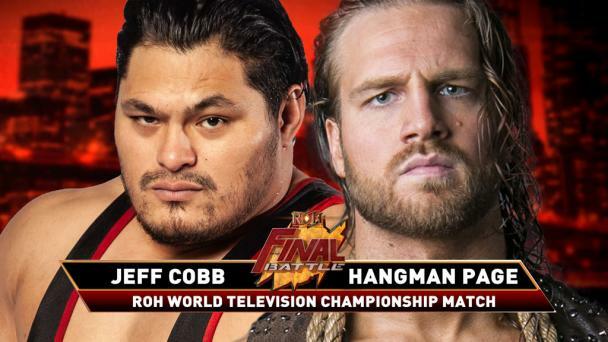 And what better championships to target than titles they nearly won on ROH Television against foes they know so very well that are spiraling into a tornado of dissension! 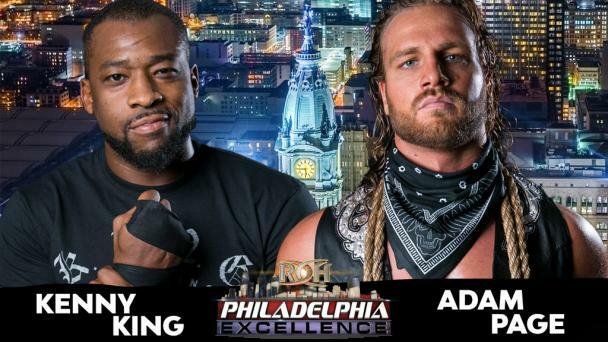 And because of the chaotic nature of their original title match, ROH Enforcer Bully Ray has declared that this will be a VEGAS STREET FIGHT! SoCal Uncensored is looking for any edge or piece of leverage they can gain as the turning of the calendar shorten the contracts of Daniels and Kazarian each day and there is no better way to gain a foothold than by winning gold! 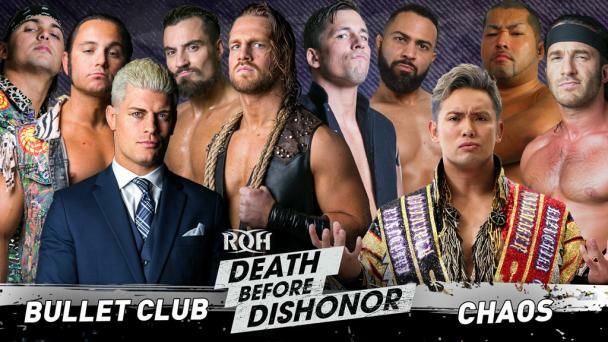 And they face a trio who is doing their best to keep their heads up and championships around their waists despite dissension within their own ranks. 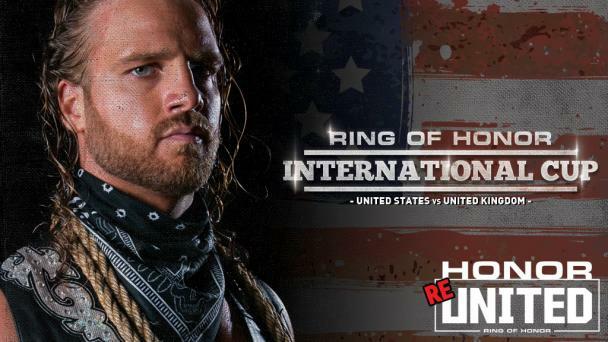 Adam Page is one of the hottest stars in the world, pinning IWGP United States Champion Jay White in tag team action at Honor Rising, establishing the 2017 ROHWrestling.com Breakout Star of the Year as a top contender for one of New Japan’s most prestigious championships. The Rite of Passage has become a certified match-ender and Page’s success in Japan has been difficult to ignore. Almost as difficult to ignore as his stern allegiance to “American Nightmare” Cody as a seeming Bullet Club Civil War begins. 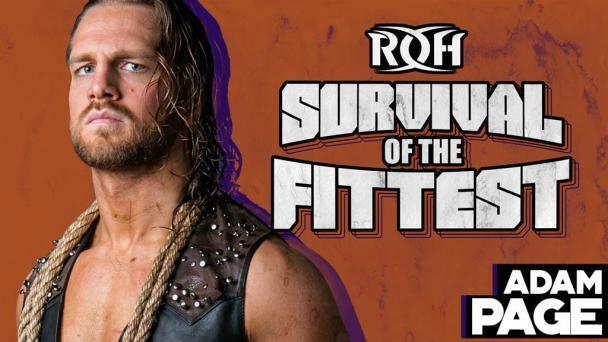 Page appears to be Team Cody in interviews and matches but the status of his tag team partners, the Young Bucks, remains unclear. The Young Bucks recently announced they would be competing in the heavyweight tag team division in New Japan, seemingly putting them on a collision course with the newly-reformed Golden Lovers, the team of Kota Ibushi and the man on the other half of the Bullet Club Civil War, Kenny Omega. But The Young Bucks have been non-committal about which, if any side they are on. 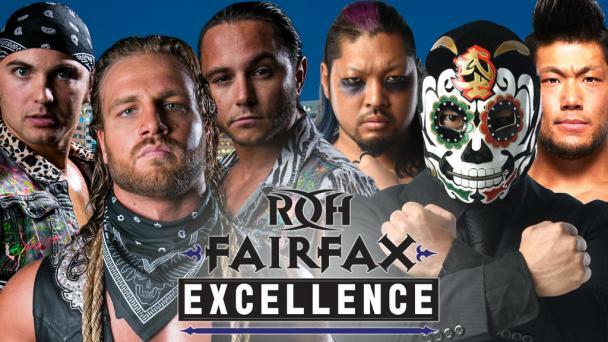 With Cody asking for loyalty, can Page and the Young Bucks continue to function as the best trio in the world as they have for nearly 200 days as champions, or can SoCal Uncensored take advantage of the chaos swirling around Bullet Club and pick up a victory and the championship! A victory would not only give SoCal Uncensored the leverage that they crave but would also make Christopher Daniels the first-ever Grand Slam Champion in ROH history, having held all four championships. 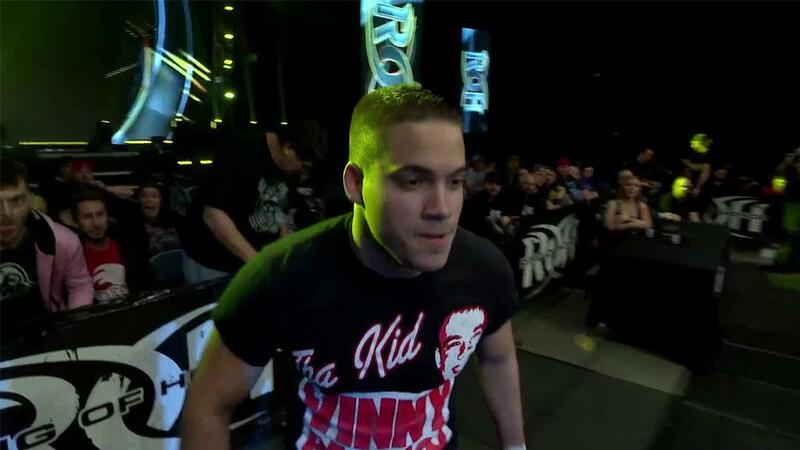 But The Young Bucks have proven they have tunnel vision through this dissension with a recent win over Scorpio Sky and Frankie Kazarian on ROH Television and Page has done whatever it takes to have Bullet Club’s back. The Championships will be decided in a Vegas Street Fight – who will leave Sin City the Champions? Join us to find out!